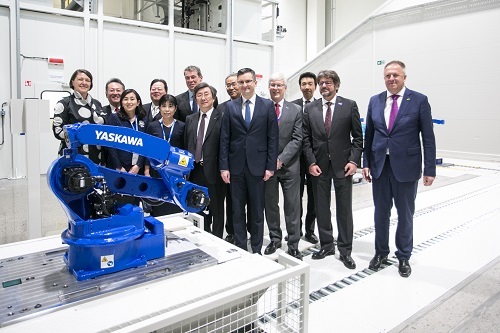 Following two years of construction, Japanese technology group Yaskawa has officially opened its new robot production facility with European robotics development centre at Kočevje/Slovenia. Yaskawa already started European production of its Motoman robots at the end of 2018. The investment volume is about 25 million euros. The new plant supplements the existing production facilities in Japan and China and will satisfy about 80% of the European demand for Motoman robots. 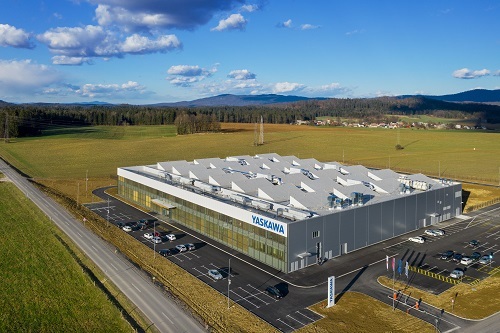 Yaskawa – with over 430,000 installed units one of the largest global players in the field of industrial robots and a leading international supplier of drive, automation and control technology, as well as components for the generation of alternative energy – is pursuing an ambitious expansion strategy in Europe. “Current investments in Slovenia, similar to those recently made in Germany, France and Sweden, constitute a strategic element of the Europe initiative of the Yaskawa Group, as anchored in our global corporate goals ‘Vision 2025’ ” says Manfred Stern, Regional Head Yaskawa Europe. In relocating its technological know-how and production competence from Europe to Asia, the company, founded in 1915, is consciously acting against the international trend.